Which of the tickets Machu Picchu is the best? To enter Machu Picchu you have 4 possible tickets. To say which of the entrances to Machu Picchu is the best one is very relative, since this will depend on how you wish to enjoy the Inca city; if you like a calm and quiet visit or if you want an extreme adventure. Machu Picchu offers different types of experiences to satisfy the tastes of all its visitors. So the most appropriate thing would be to ask which of the Machu Picchu tickets is the most suitable for me? The ticket “Machu Picchu Onlyo”, both in its morning or afternoon shift, is with which you can tour the entire Inca city, it is the most popular ticket in Machu Picchu. This is the best ticket if you want a quiet ride. With the three circuits defined to know the Inca city everyone can enjoy Machu Picchu, including the circuit 3 is designed for people who may have difficulties, either by age, disability or health problem. If you wish, this ticket also gives you a dose of adventure, the hikes to the Intipunku or to the Inca Bridge, are short and easy to do, but with many emotions during your journey. It is the ticket that will give you the most intense experience in Machu Picchu. And it is definitely the best ticket for those who are looking for a great adventure. Climbing the mountain Huayna Picchu is considered among the best 5 short walks in the world. Its steep trails, incredible views and Inca remains make climbing this particular mountain a unique experience in the world. As part of the experience there is also the tour of the Inca city of Machu Picchu. 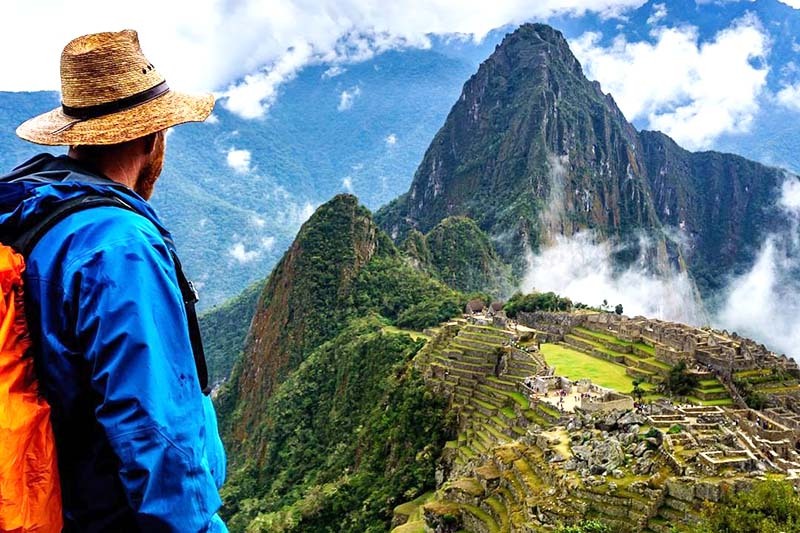 Undoubtedly, the Ticket Machu Picchu + Huayna Picchu has almost everything, but if you are afraid of heights it is not your best option, and only people older than 12 can upload it. In addition, if you want to obtain it you must reserve it at least two months in advance, since only 400 people per day can access the Waynapicchu. The Machu Picchu mountain is often confused with the Waynapicchu, but it is definitely not the same. The mountain Machu Picchu is the great mountain on which the Inca citadel is built. This mountain offers the same experience of climbing a mountain, but unlike its more famous brother, the trails of the “old mountain” allow to make a quiet tour with a not so steep path; but its peak being higher than the other mountains that are around the Inca city, the walk can be exhausting. The excursion through this mountain is also a magnificent experience and gives you the best views of the Machu Picchu Sanctuary. So if you are looking for a great adventure, but without too much vertigo, this is the best ticket for you. Don’t forget that part of the ticket is also the tour of the Inca citadel. If you are one of the people who are passionate about archeology, history and culture, this is the best ticket for you. Touring the Inca city of Machu Picchu and complementing your excursion with a visit to the Site Museum “Manuel Chavez Ballón” is the best way to soak up the cultural wealth that Machu Picchu offers. In the site museum you can find an exhibition of Inca objects extracted during the excavations and observe an interactive display of audiovisual resources that will help you understand the cultural and historical significance of Machu Picchu. This ticket will give you a great experience if you come with children, since it also includes a view of the botanical garden that is located next to the museum. Machu Picchu has an experience for every visitor that comes to it. The sacred city of the Incas awaits you, and will surprise you.